LOCATION: Canyamel Sunrise Apartaments are located only 200 meters from the Canyamel beach and next to a oak tree garden. It is the perfect destination to enjoy your holidays with your family or with your partner in one of the most privileged natural places of Mallorca. ACCOMMODATION: The apartment building with 32 units. Every Apartment has a maximum capacity of 3 Adults and 1 child. All the apartments, completely renovated, have a bedroom with Sat-TV 32" flat screen and 2 beds (of 2m. long x1m. wide), full bathroom, living room with sofa bed and SAT-TV 40 ", telephone, air conditioning / heating, wifi connection (no extra charge), safe (with charge), equipped kitchenette, microwave, coffee maker, refrigerator, ceramic stove, and tableware for 4 people, and balcony with views to the garden and the forest. SERVICES: 24-hour reception at Canyamel Sun Aparthotel (350 mts far away from Canyamel Sunrise Apartments). Lift. On the roof there is a sky-pool with a large sun terrace. Canyamel Sunrise Apartaments customers can also use the Canyamel Sun Aparthotel facilities, including swimming pool, bar and restaurant. RESTAURANT: Half board (breakfast and dinner), will be given in the Canyamel Sun Aparthotel restaurant (350 meters from the Canyamel Sunrise Apartments). The restaurant offers international cuisine in a varied gastronomic buffet. Show Cooking, 2 themed nights a week (Spanish dinner and Majorcan specialties dinner), special menu for children. Special gluten-free menu for celiac customers. ENTERTAINMENT: Night entertainment and live music, several times a week (only 350 mts away in Canyamel Park Hotel & Spa). Mini club and activities program for children in high season at Canyamel Sun Aparthotel. SPORTS: 7 clay tennis courts, tennis school and table tennis (only 300 mts far away). Billiards im Canyamel Sun Aparthotel. Rent-a-bike in Canyamel Park Hotel. 4 Golf courses within a radius of only 6 kms with different discounts. At Universal Hotel Castell Royal, enjoy a satisfying meal at the restaurant. Unwind at the end of the day with a drink at the bar/lounge or the poolside bar. A complimentary buffet breakfast is included. Be sure to enjoy recreational amenities, including an outdoor pool, a spa tub, and a sauna. Additional amenities at this hotel include complimentary wireless Internet access and tour/ticket assistance. Pamper yourself with a visit to the spa, which offers massages, body treatments, and facials. You're sure to appreciate the recreational amenities, which include 3 outdoor swimming pools, a sauna, and a 24-hour fitness center. Additional amenities at this hotel include complimentary wireless Internet access, concierge services, and babysitting/childcare (surcharge). The complimentary beach shuttle makes getting to the surf and sand a breeze. Make yourself comfortable in this air-conditioned apartment, featuring a kitchen with a full-sized refrigerator/freezer and a microwave. A flat-screen television with satellite programming provides entertainment, while wireless Internet access (surcharge) keeps you connected. Conveniences include a phone, as well as a safe and a desk. Make yourself at home in one of the 132 air-conditioned rooms featuring minibars and flat-screen televisions. Rooms have private furnished lanais. Wireless Internet access (surcharge) keeps you connected, and satellite programming is available for your entertainment. Conveniences include phones, as well as safes and desks. With a stay at Apartamentos Canyamel Classic in Capdepera, you'll be near the beach, within a 15-minute drive of Cala Agulla Beach and Torre de Canyamel. 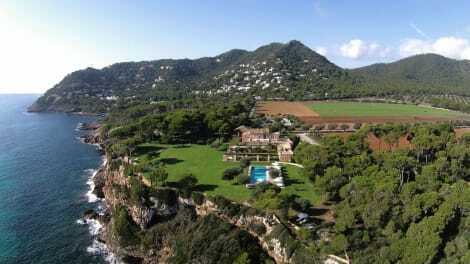 This apartment is 9.4 mi (15.1 km) from Cala Millor Beach and 15.6 mi (25.1 km) from Caves of Drach. Make yourself at home in one of the 35 guestrooms, featuring kitchens with refrigerators and microwaves. Rooms have private balconies. Plasma televisions are provided for your entertainment. Conveniences include safes and coffee/tea makers, and housekeeping is provided weekly. lastminute.com has a fantastic range of hotels in Canyamel, with everything from cheap hotels to luxurious five star accommodation available. We like to live up to our last minute name so remember you can book any one of our excellent Canyamel hotels up until midnight and stay the same night.